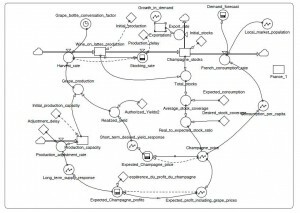 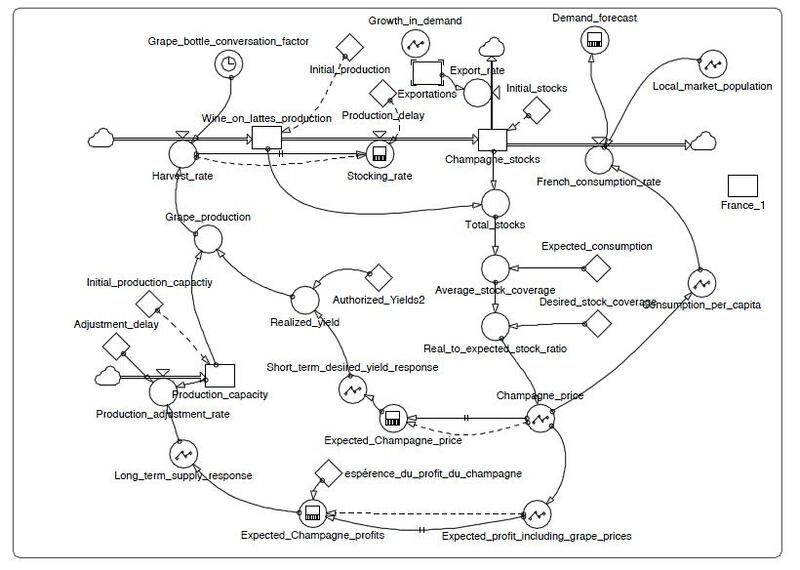 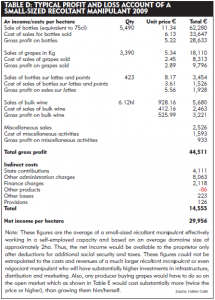 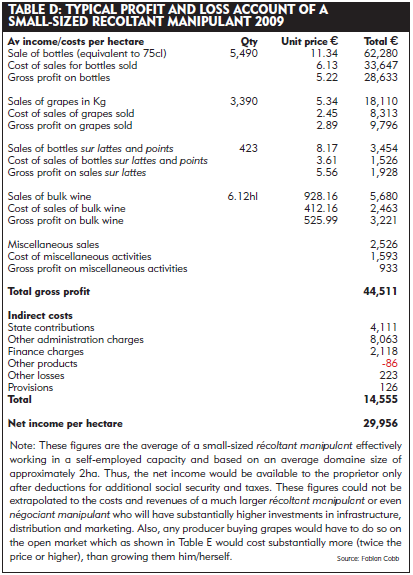 Costs for the Champagne producer are made up of many elements, some of which have a greater or lesser impact on the profit-and-loss account of their business depending on the individual circumstances of the firm. These might include: the cost of capital; harvested yields (differentiating between permitted and reserve stock – so-called blocage); how they use the pressings (some Champagne houses use only the cuvée – the first pressing); stock turnover that impacts cash flow: stock holding has in fact increased almost every year with levels at an all-time high in 2009, estimated by the CIVC to be around 1,344m bottles (almost five years worth of stock) and which might incur further finance charges apart from storage implications; the ageing of wines, particularly any vintage Champagne; retail prices that can be charged given prevailing economic conditions; and last but not least the price of the grapes charged by the growers – a significant cost to the large maison. Indeed, grape prices peaked in 2008 – see Table E. If 1.2kg is required to make one 75cl bottle of Champagne then this is the factor which needs to be applied to the grapes price/kg, but these are only averages across the appellation. 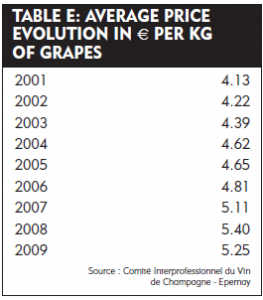 In some areas the prices will be considerably higher. 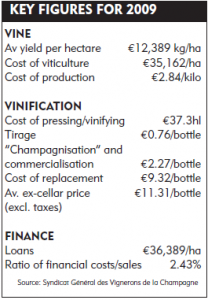 Thus, the average cost of grapes to make one bottle of Champagne in 2008 could be estimated at €6.48 per bottle, a significant component in the cost of any bottle.